STRATA titles for three public housing projects – Taman Tun Sardon Peralihan, Taman Tun Sardon Phase Three flats and Batu Lanchang flats – have finally been issued. It is understood that some owners have been waiting more than 30 years for the titles. Penang Housing Committee chairman Jagdeep Singh Deo said that a special sub-committee of strata title applications chaired by him since 2013 had been reviewing strata title applications of six public housing projects. “Strata titles for three out of the six projects have been issued. 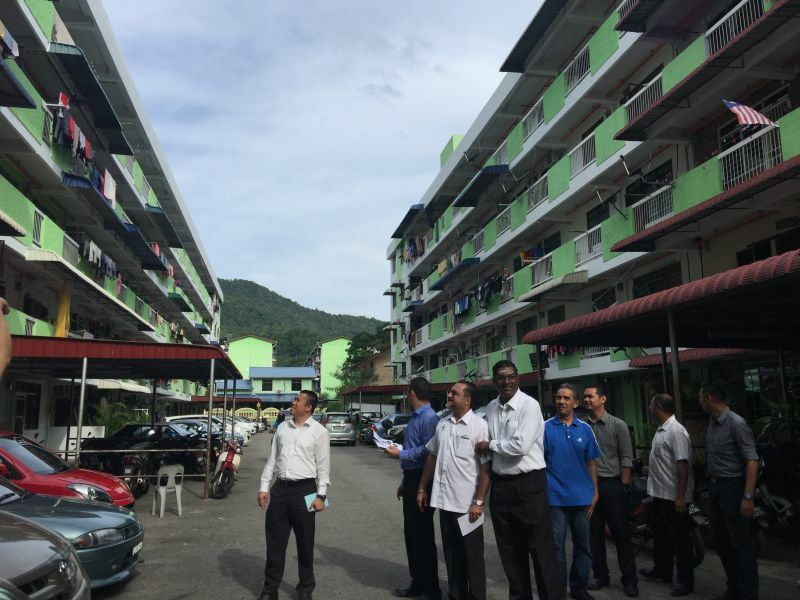 “We have 50 public housing projects in Penang and 41 projects have been issued strata titles. “Five projects are still under the application process and four projects were exempted,” he told a press conference at the Taman Tun Sardon food court recently. He added that the earlier state administration had failed to help owners of public housing projects obtain the titles. Jagdeep Singh said it would be easier now for owners to conduct property transactions now that they had obtained their strata titles. Siti Hajar Awang, 70, said that she bought her unit about 18 years ago. “The unit is in my husband’s name but he passed away two years ago. “I am not familiar with the process of changing the property ownership,” she said at the Taman Tun Sardon Phase Three flats. However, she said that she would go to the Housing Department to seek help.